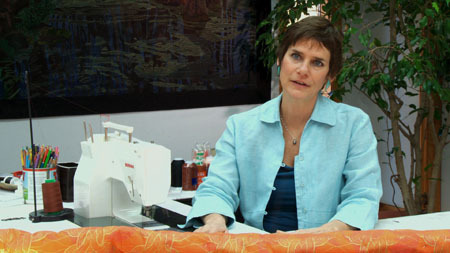 Stitched, a new documentary about the International Quilt Festival in Houston follows three quilters, Caryl Bryer Fallert, Hollis Chatelain , and Randall Cook as they each create their pieces for entry in the 2010 competition. I recently viewed this film with my quilt guild here in Chicago. 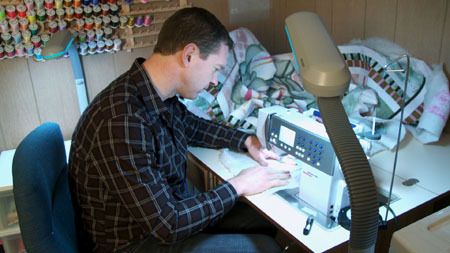 I had fun looking at the sewing machines each quilter used (quilters sure love BERNINA!). The film is funny at times, poking a little fun at quilters and our obsession with fabric and sewing. And the music is wonderful, with fun songs about quilting and quilters! Get a preview of the film or buy your own copy at the STITCHED website. 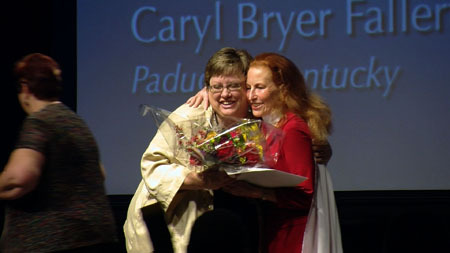 Although the film is already available to own on DVD, many quilt guilds are helping to schedule public presentations of the film through museums, independent theaters, universities and other venues. See where else in the country you can see Stitched, or find information for booking the film to show in your community at the Stitched website.